A new blend in town! The Adam Smith Theatre Café is to return for the Kirkcaldy’s 2018 Festival of Ideas … and you’re invited to help redefine the revamped café’s space and try a brand new coffee blend that’s been created to mark the event. On Thursday, 15th March, Adam Smith Theatre’s café space is set to reopen during daytime hours, just in time for the Adam Smith Global Foundation’s Festival of Ideas (running from Friday 16th – Saturday 17th March). As the festival’s hub, the venue will welcome David Tennant, Sandi Toksvig, Arabella Weir and an international audience to the town. 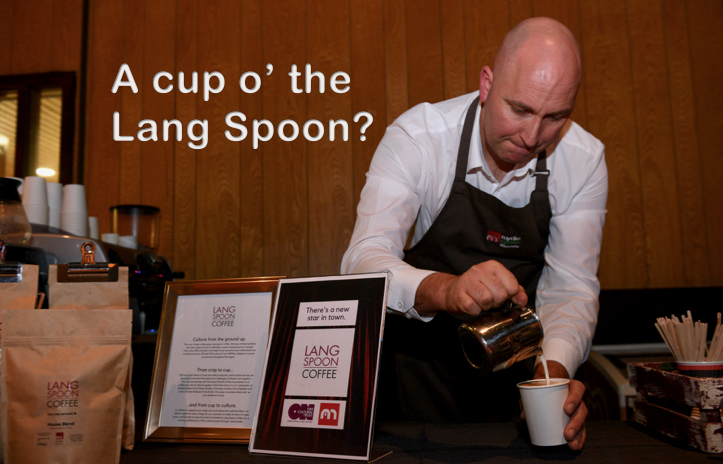 The date will also mark the launch of ON Fife’s tasty new house coffee blend, Lang Spoon, to be sold at venues across the region. All profits made from sales of the blend will be reinvested back into ONFife, contributing towards the growth of the library, museum and theatre services throughout the region. Working with Kirkcaldy brewers Myrtle Coffee, this venture comes as daytime hours are reintroduced to the Adam Smith Theatre Café Bar. On its relaunch, Adam Smith Theatre’s cafe will offer a cosy space with free Wi-Fi, a bar service, hot drinks, and tasty snacks and lunch offerings. The space is perfect for a quiet place to work, an afternoon meeting or a relaxing pre-theatre drink. 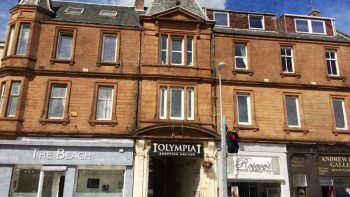 As this is just the start of their relaunching, the venue want to hear from people about what they’d love to see in Kirkcaldy but have to leave the town to find. There’s an online survey to capture your thoughts: please follow this link to complete the survey. 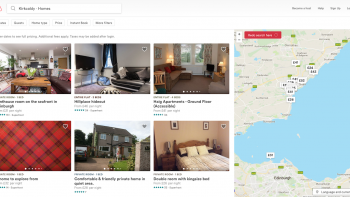 It will be live until Monday 30th April 2018. Everyone who completes the survey and provides their details will be entered into a draw for four tickets to attend an early performance of Adam Smith Theatre’s Beauty & the Beast pantomime this December. Thanks for reading … and enjoy the cuppa!